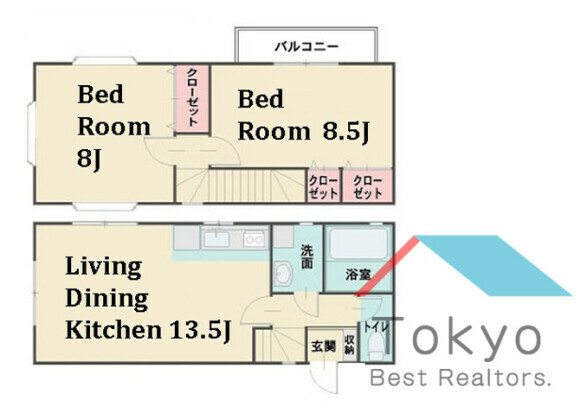 We are a comprehensive real estate agency developing a partnership with English-speaking agents in Tokyo since 2006, providing services on Non-Japanese community. In the face of the momentum of globalization, our goal is to facilitate any real estate transactions between foreign clients and the Japan's unique system. We assist and satisfy the client's needs related to real estate such as; 1. Brokerage of Rental Properties 2. Brokerage of Selling and Purchasing Properties 3. Property Management 4. Real Estate Investment Our strengths are simply 2 points, RELIABLE & EFFECTIVE. We believe that it is important to use reliable and experienced agents who are familiar with areas and cases. With our experienced agents and strong connections with landlords and management firms, you can easily reach the best solution in the most effective way without any concerns, which can save your time and money. In order to provide the reliable services, we only register and offer skilled agents who have;. 1. the license of Real Estate Transaction Specialist or Financial Planner or related licenses. 2. more than a 3-year experience in real estate business. 3. dealt more than 200 cases. 4. English proficiency. Let's find your dream housing with our experienced agents! !